Hacienda West is the latest compound by Palm Hills Development in North Coast. It is located on Alex – Matrouh Road (km 200) and it’s only 2 km away from Fouka Road. Hacienda West is the place that will bring back the good old summertime where you can enjoy a barefoot walk on the beach, a bonfire night full of storytelling and laughter and an outdoor BBQ that gathers family and friends. Hacienda West introduces lavish villas, twin houses and chalets that all have fascinating views. It also features a number of facilities to pamper its residents and guests such as: a club, pools, cabanas and hotels. 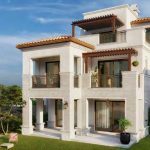 Unit Types: Villas, Chalets and Twin Houses.